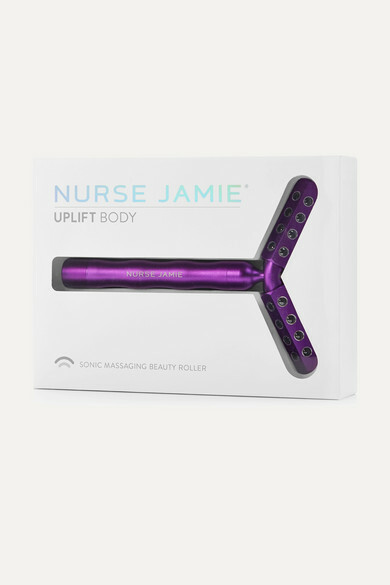 Nurse Jamie's Y-shaped body massager combines the rolling action of the original UpLift tool with a soothing vibration to help temporarily firm skin. Embedded with 48 tourmaline quartz stones, it utilizes high frequency sonic pulsations to improve the look of sagging, wrinkles and fine lines. Make it part of your everyday routine to achieve a more youthful appearance.